Format: epub & mobi (? )epub files are compatible with iBooks, Kobo and other e-readers. mobi files are compatible with Kindles and the Kindle app for iOS, Android, Mac OS X and Windows. 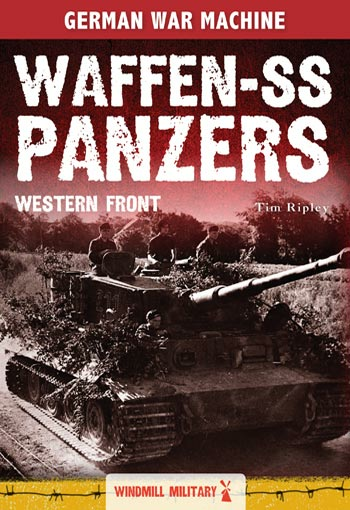 In June 1944, the Panzer divisions of the Waffen-SS were among the finest units in Hitler's army. They were well equipped and trained, imbued with a fanatical faith in National Socialism and had earned a fearsome reputation fighting on the Eastern Front in the spring and summer of 1943. Under the leadership of charismatic commanders like Sepp Dietrich, Kurt Meyer and Paul Hausser, they formed the backbone of the German forces on the Western Front. Illustrated with contemporary photographs and 16 colour maps, this book tells the story of the battles they fought from Caen and Villers Bocage to Arnhem and the Ardennes. Bundle discounts are automatically applied to your cart and are only available on our site. Just add the titles you want to your cart and the appropriate discount will be calculated before you checkout.